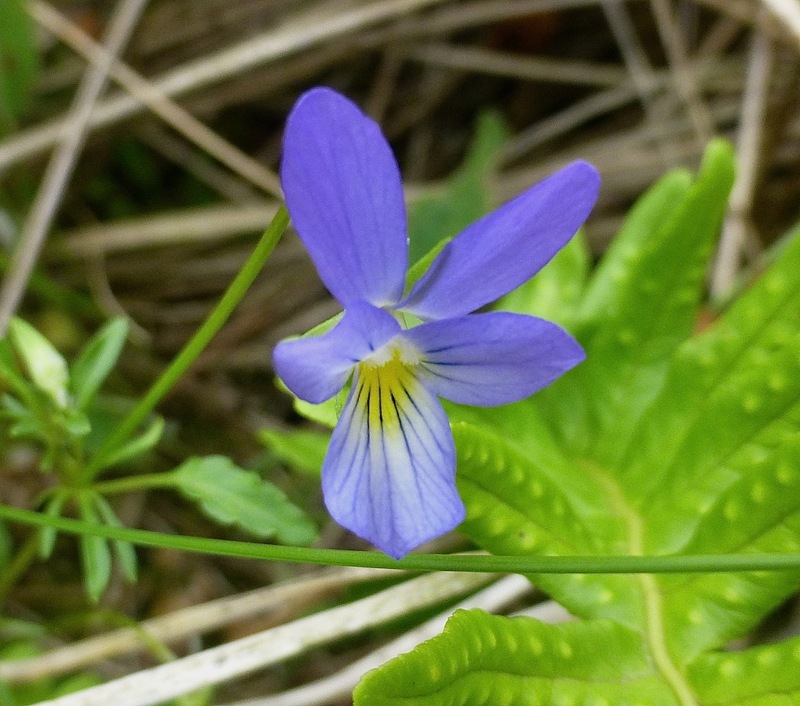 Sound advice from one of the greats in search of megas on Shetland a year or two back…that and “the biggy always travels alone” are good mantras to keep you looking at this, one of the quieter times of the year. This is where the blackest of birding black dogs live, and even though it arrives every year at this time, the lull still packs a punch. 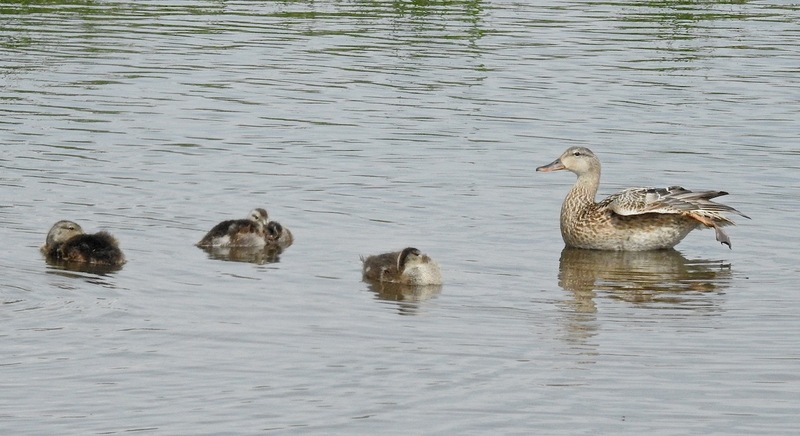 Odd to think of the time when they were scarce, and the frenzy of texting that would have been sparked by the eight strong brood, them and the successful Tufty families on the marsh of course. How the world turns, how the world changes. Two reasonably large gatherings of Swifts over Marine Drive this afternoon, but squinting for white bits amongst the dark missiles ripping through the blue ain’t really conducive to keeping the wheels on the bouncy bouncy tarmac. And since when did all the Chiffies start singing full blast again? 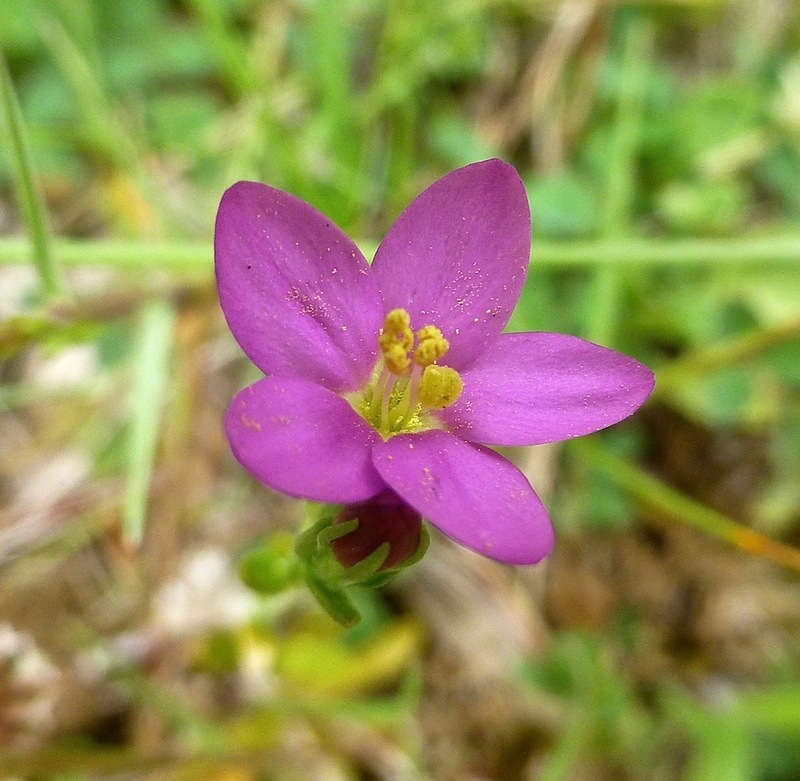 Best head back to the dunes and ogle rare plants. 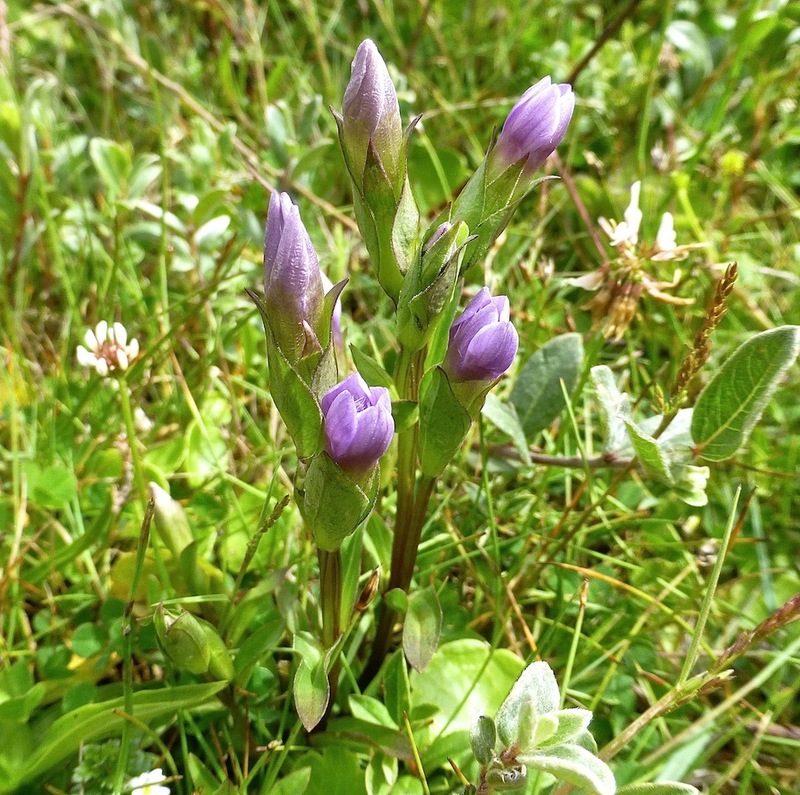 And stare in wonder at startingly early Field Gentians (these things usually bloom at the end of August). Climb up and over the revetment and drop down into the dunes and after just a few metres you can’t hear the beach or smell the burger van. 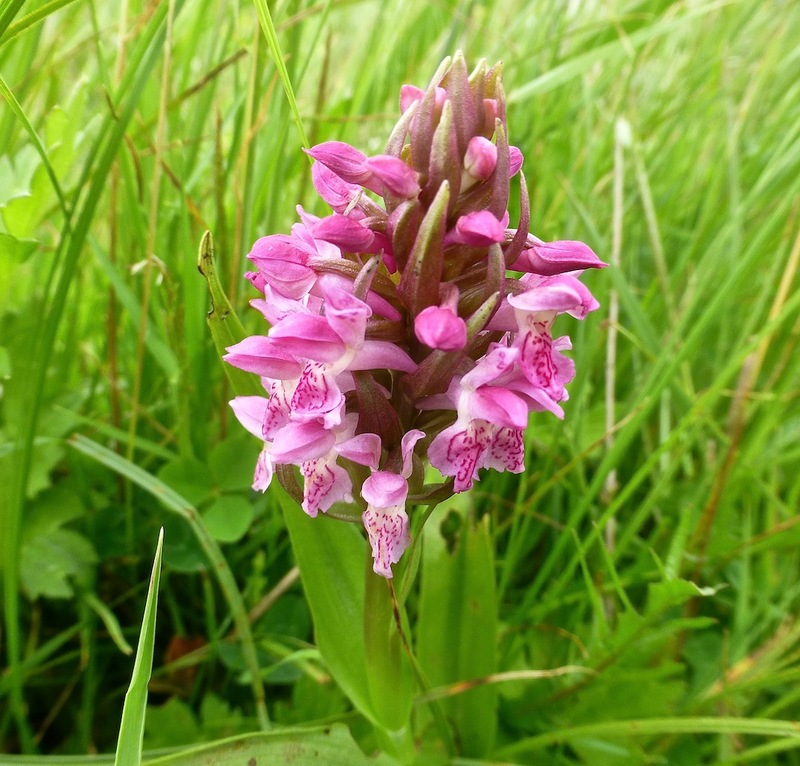 Pyramidal Orchids everywhere, uneffected by the heat. The dunes were inevitably quiet at Ainsdale but I fancied a spot of dragonflying so headed up to Slack 47 at lunchtime. 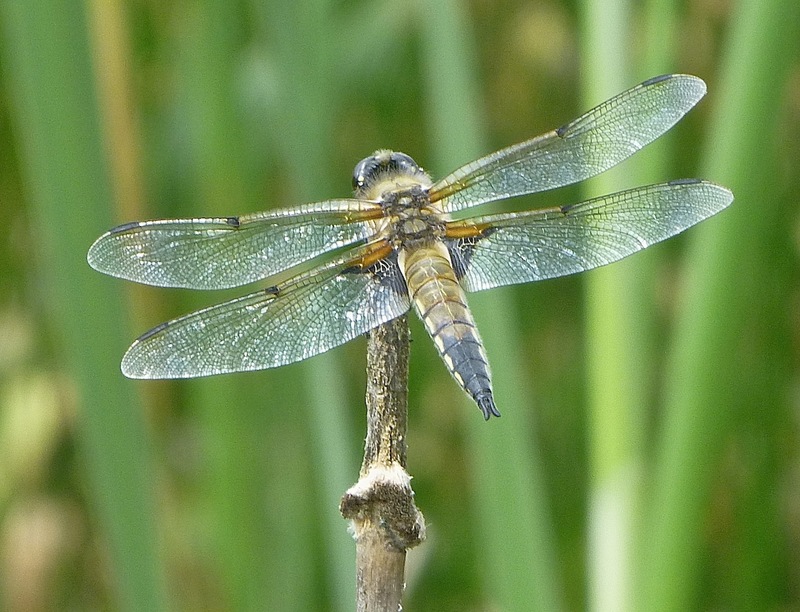 No fewer than four Emperor Dragonflies were absolutely owning the airspace there, while Four Spot Chasers and Southern Hawkers kept a low profile. 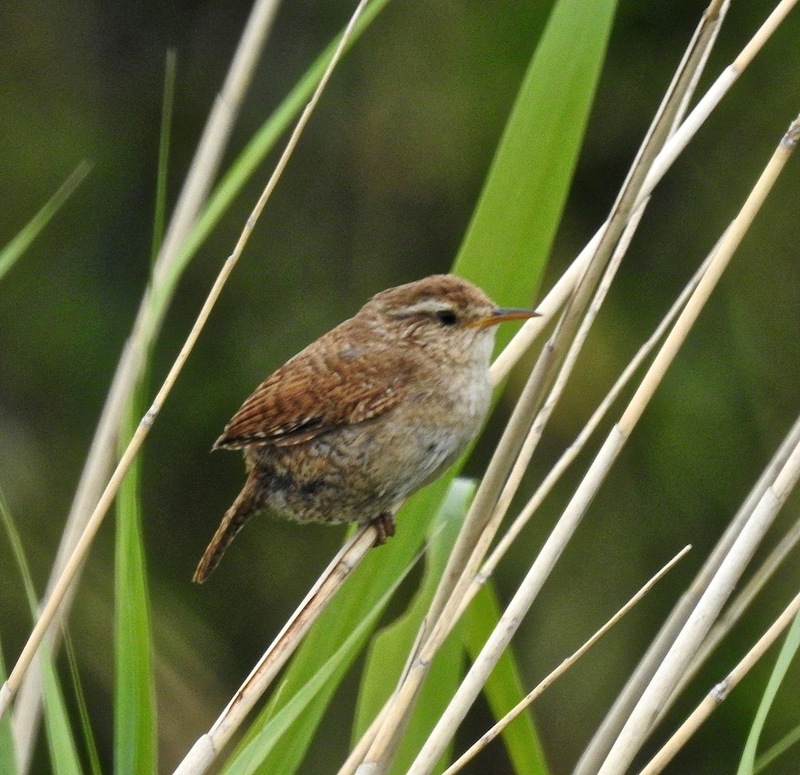 A family of Willow Warblers were vocal around the pool, but Reed Bunts and Whitethroats were hardly bothering. 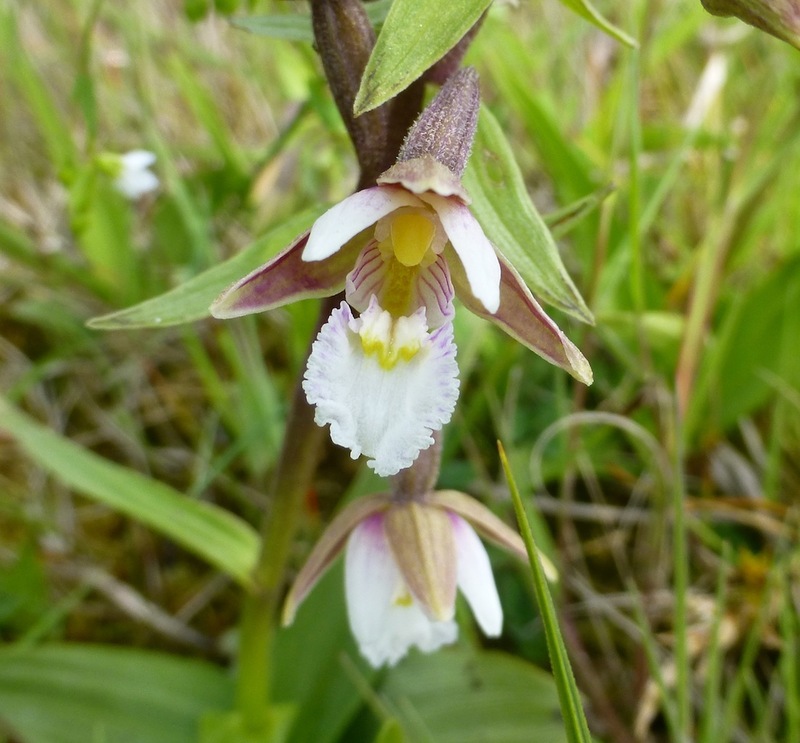 Marsh Helleborine flowering all over the place, with Dune Helleborines only days away. Quite a few Red Admirals fluttering past – part of a Europe-wide movement in the heat plume and Sands Lake had five Black Tailed Skimmers, but I couldn’t see the two Common Sands that were there yesterday – an odd date for them on the coast. 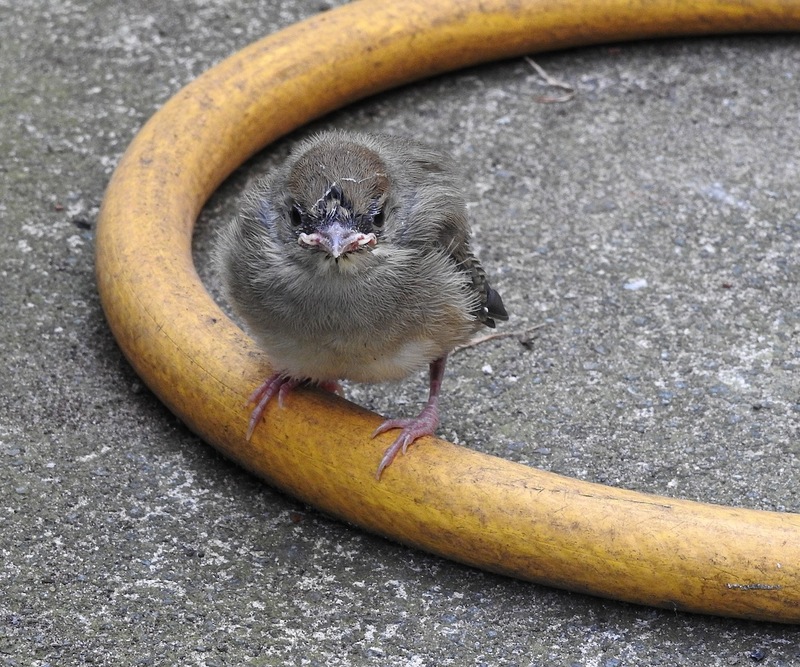 Back at Dempsey Towers a nest-jumping Blackcap youngster hid in the coils of our hosepipe until it’s mother ushered it back into cover as Magpies pretended not to be looking. 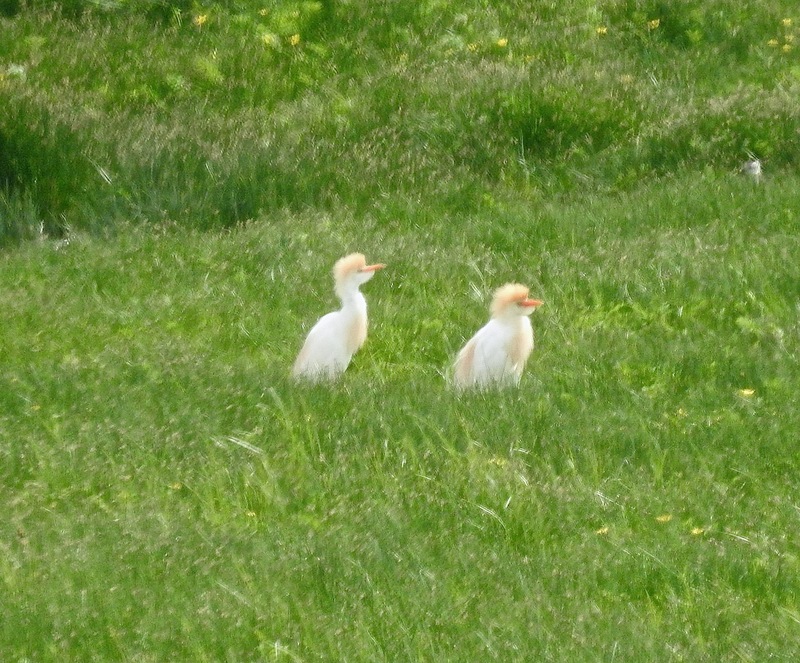 Looking summery and fine out in the ever taller vegetation at Marshside, the two lingering Cattle Egrets were probably the high point of a sunny wander today, as they mooched about amongst the growing infestation of feral geeses and clamouring fledged BHGs. 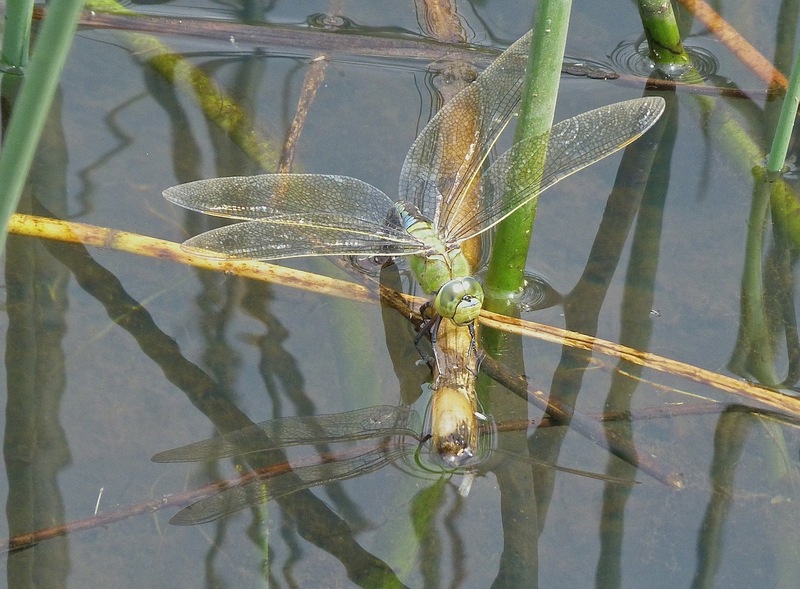 Earlier I called in at Mere Sands, still oddly devoid of any lasting monument to Trops’ recent klutziness there, but there was a good variety of dragonflies and damselflies on the wing and a few Southern Marsh Orchids blooming. 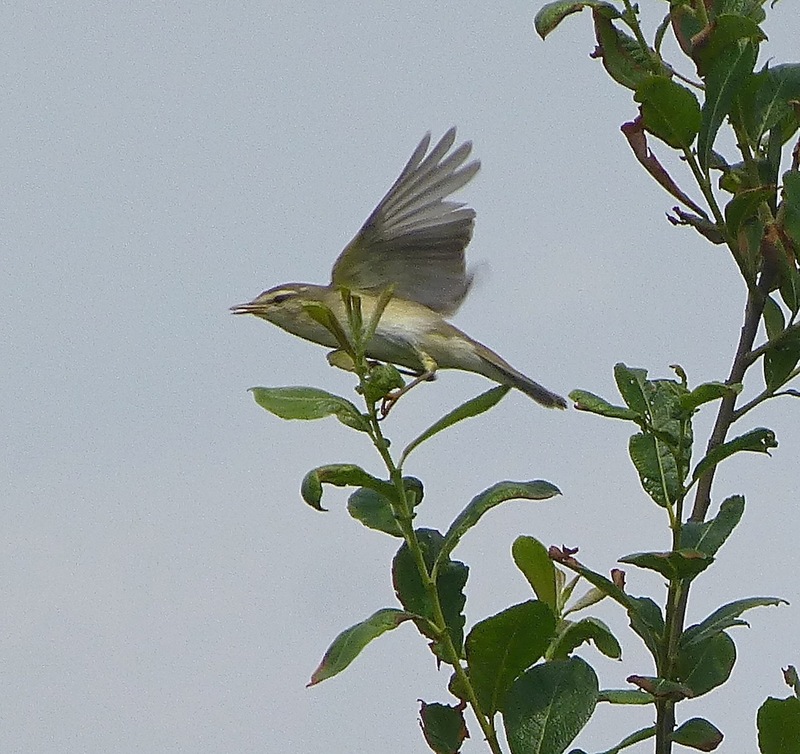 Several Chiffchaffs were still singing fit to burst, with Willow Warblers more feeble, and just the one singing Blackcap. 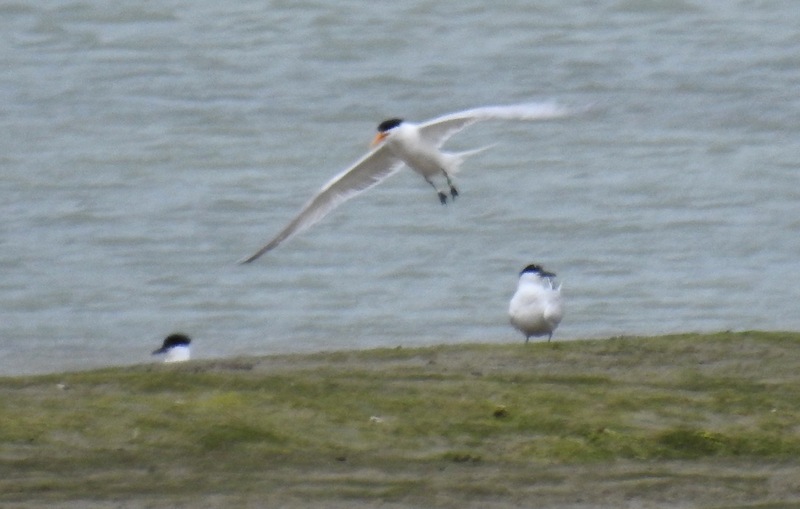 The invertebrate and plant-heavy lull of June is best medicated against by a spot of down and dirty filthy twitching – step on up then the Pagham Harbour Elegant Tern which was today’s object of feathery desire. 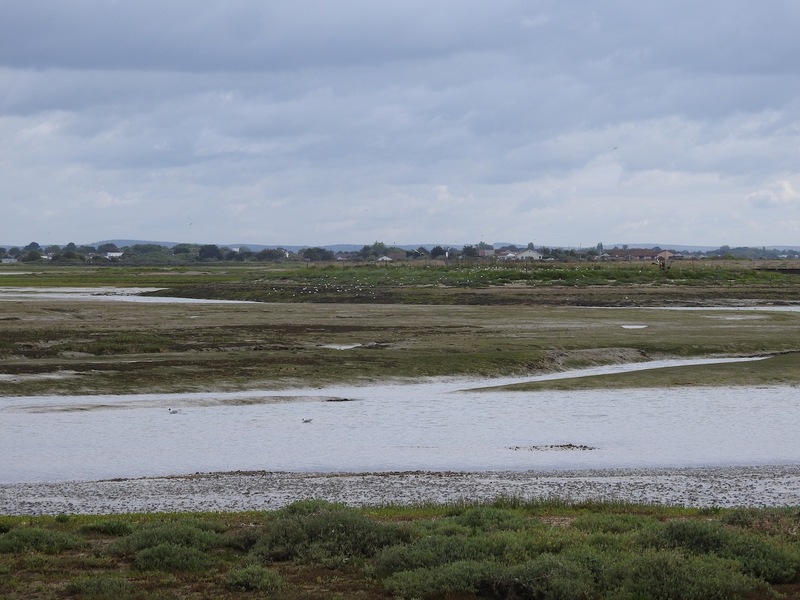 Mike Stocker and June Watt collected me at an ungodly hour, and June stoically motored us all the way down the tarmac and through the Oxfordshire Red Kite rush hour (and all the way back too, god bless her), so that we were walking out to survey Pagham’s tern island in West Sussex by 0730 today. 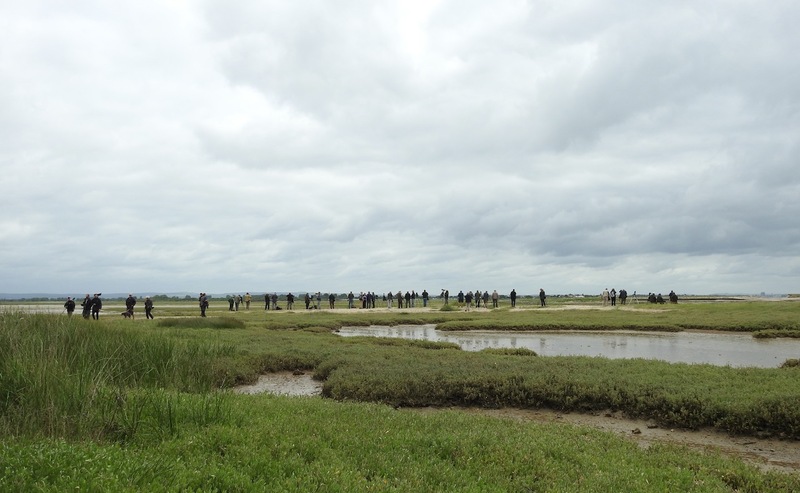 A good crowd was already there, scanning the distant island, a clamour of Med Gulls (100+), Sarnie and Little Terns. 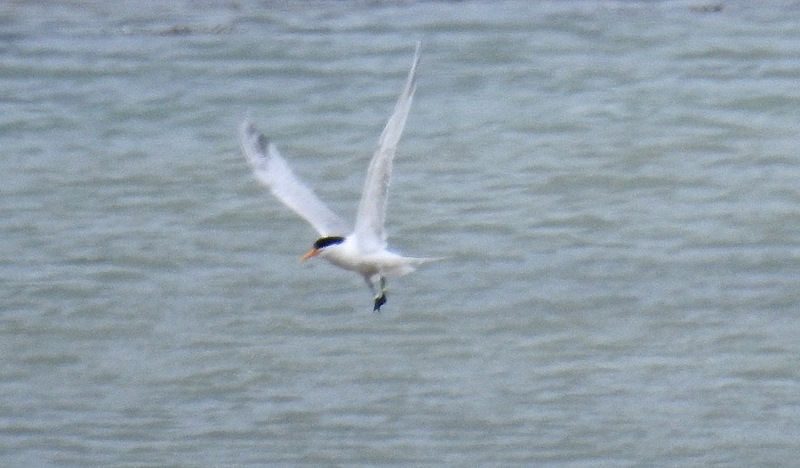 Although the Elegant Tern flew into the island colony at about 0815 after a few hours fishing offshore it promptly disappeared into the vegetation where the terns and gulls were raising young but I kept my eye locked to the ‘scope in the area it had been seen and at 0845 I was rewarded as the big long-winged tern rose out of the weeds to drift through my lens, it’s long thin yellow bill startlingly obvious. 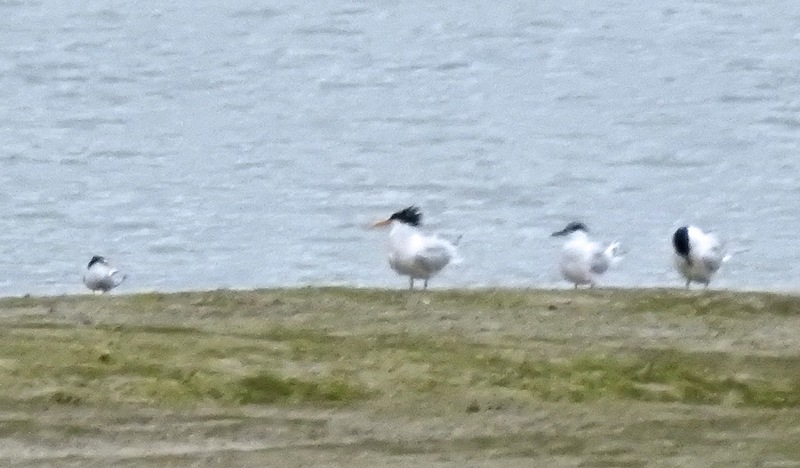 The bill is undoubtedly the bird in this case, but colour rings (even visible in some of my lousy long distance pix) reveal it to be an adult male, first ringed down in France, possibly as long ago as 2003. 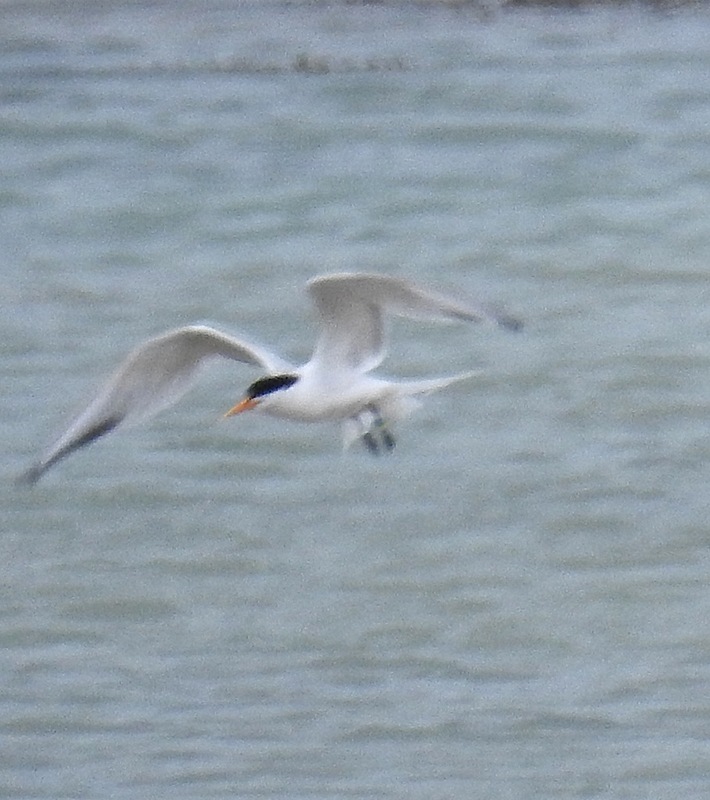 Stat-boy Stocker informs me this individual has made it down as far as South Africa twice since then, and although it usually prefers to spend its summers in the Gironde, its pervy interest in a Sandwich Tern at Pagham suggests it’ll be holidaying on this side of the channel this season. Not bad for a bird that’s meant to be in the Pacific. After an hour or so of “hide and seek” in the vegetation, as the Elegant Tern occasionally rose for a few tantalising seconds before dropping back out of sight, it finally flew out to bathe on a channel with the Sarnies, dwarfing Little Terns, as Cuckoo and Green Woodpecker called at our backs, and Little Ringed and Ringed Plover scudded about. 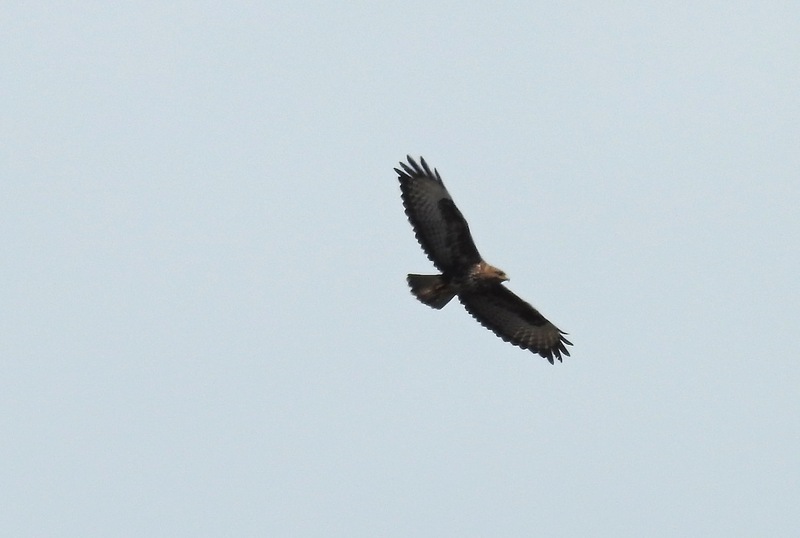 The adult male Elegant looked huge in flight, but not so much so on the deck, but then its shaggy crest and daft bill made it easy to pick up. Its bendy bill looked longer, more obvious in flight than it did when the bird was on the mud if that makes sense, but it was clearly not as heavy at the beezer on last year’s Royal in Kerry, which had much darker primaries…there were some darker grey primary feathers on today’s Elegant too, but generally it looked long-winged and very white, with pearly grey uppers and a snow white rump and tail. We detoured to the New Forest on the way back north for a civilised, if windy hour or so at a well-known watch point where we picked up two Goshawks, a displaying Woodlark, Stonechats, Hobby and numerous Common Buzzards – no Honeys though, but this wasn’t such a surprise in the cloudy, windy conditions. I can’t remember when I last saw a Treecreeper on the deck… stunned Woodpigeons beneath the back windows at Dempsey Towers certainly, a very angry Sprawk once and even a “ghost owl” outline on the double glazing courtesy of a myopic local Tawny, but never a Treecreeper. November Woodcock fatalities were regular around the glass-clad office blocks in the days when I worked in Liverpool, and I once saw a Nuthatch squished flat on the back of a timber lorry on Old Hall Street, but never a Treecreeper. So thanks to Janet Grant for sending me this pic from the weekend. Janet explained: “Found this little fella in my driveway in Crosby on Sunday morning. 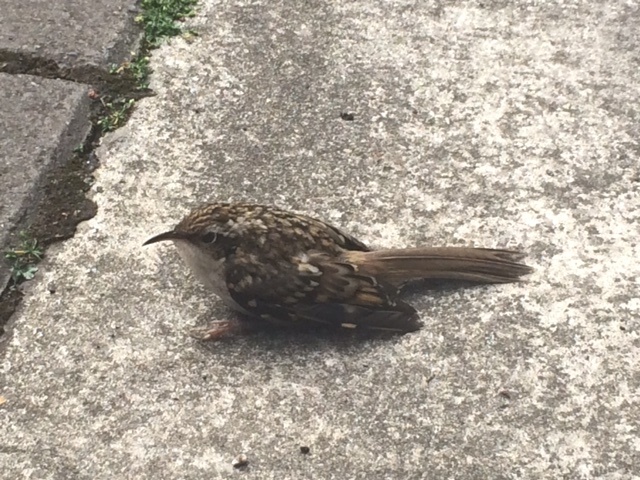 I think it either flew into kitchen window or was just totally knackered. “I checked on him/her every 10-15 mins for about an hour and half and then watched it fly off and hug the telegraph pole outside our house”. 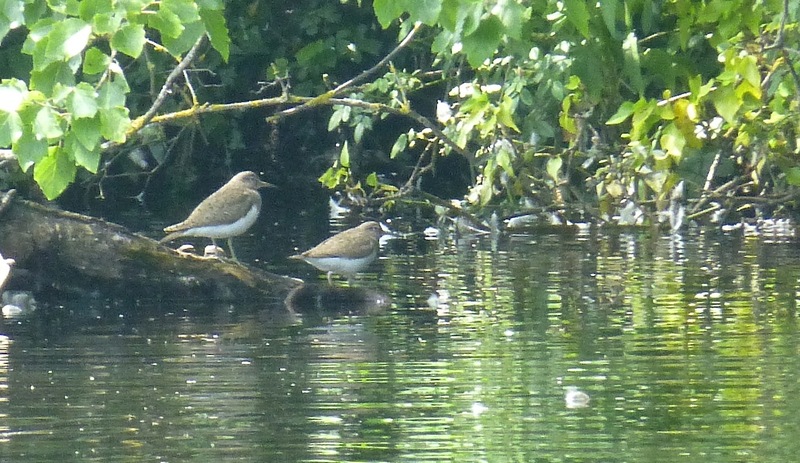 Janet added: “First for me as a garden tick and very happy it was okay in the end”. Love the idea of the ‘creeper hugging the telegraph pole – great description Janet. Shimmery and warm this last two days on Plex, which is great if you’re a Lapwing chick-swiping Common Buzzard (shameful behaviour) or a Wall Brown butterfly, otherwise it is getting all too June. Some real megas have turned up in these quiet weeks over the years of course. A calling Cuckoo out there yesterday afternoon was unexpected, but all too brief. Time to get into the bugs and the blooms then as the long haul till late July starts. Lots of them out to play with. Meanwhile time to sit back and enjoy the Corn Bunts, Yellowhammers and sun.